The automated call goes on to say there’s a pending court hearing or a restraining order that’s been filed against them. They may even leave a bogus court case number or order number to try and convince the person they’ve targeted that the call is legitimate. They advise that the target needs legal assistance and leave a number for a “lawyer” they should contact. The goal is to frighten the targeted consumer into calling back and paying for non-existent legal services to avoid whatever terrible legal action they’ve promised is about to happen. What’s scary is that if you get a message like this and you have outstanding debts that are delinquent – which many people do – you may actually be convinced that the threats are real. The con artists who run these scams are expert manipulators. Consider them like master salesmen, but what they’re selling is fear and if you buy into their scheme, it will cost you more than you can likely afford. What’s important to remember is that you cannot be jailed for debt, despite what the threats may say. Debt is a civil matter, not a criminal one. And if there was a legal proceeding of another sort against you, it stands to reason you would already be aware of it. 1. Don’t return the call. 2. If you feel you must return the call (out of fear), ask them to send you confirmation in writing. If they refuse, you know it’s a scam. 3. If you’re still worried, contact your local county court house and ask if there are any warrants or orders outstanding against you. 4. If you don’t want to make that call (out of embarrassment), you can often search criminal and civil records on the county courthouse website. Search by your name and you should be reassured. 5. Never give anyone who calls you like this your credit card information or bank information. Never buy a MoneyGram or other cash-based instrument based on these threats to pay the scammer. 6. 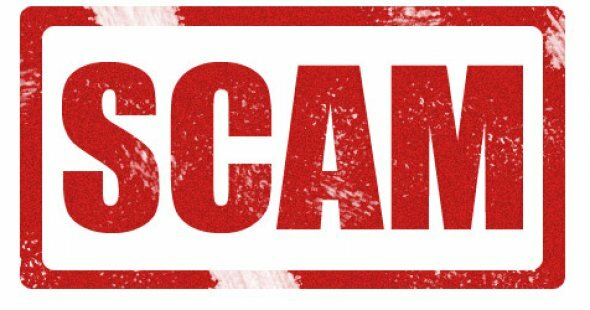 Call and report the scam and give the BBB or AG’s Office (it’s best to call both) all of the information from the call or message, including phone numbers and any business name so they can pursue the perpetrators. This level of stress may have you considering burying your woes in a bottle of savory Long Island whisky. But maybe stop at one, and instead, if you are worried about your debts and living in fear of collections calls and think there’s no way out, think again. Contact a reputable North Carolina bankruptcy attorney to find out if a Chapter 13 debt repayment plan or Chapter 7 filing might be a solution to give you the fresh start you need.